Featuring our Bergevin Lane wines paired with Six Courses! 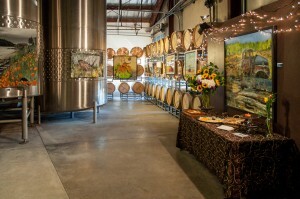 It’s Westside Walla Walla Wine Club Celebration Time! Throughout the entire month of March we’re celebrating Washington’s best Wine Club Members by making you an honorary Club Swirl member at some of Walla Walla’s best Wineries. Bergevin Lane Club Swirl Members are invited to enjoy the club benefits at several of our neighboring wineries, throughout the entire month of March. From complimentary tastings to special member discounts, we’re spreading love, wine and good times across the Westside of Walla Walla. Join us for our 9th Annual event featuring the class act & king of the grapes, The Cabernet Classic! This prestigious event is located at the new Porsche Bellevue! Dress Up for this swanky affair and enjoy free Butler Valet service too! The event helps raise funds for one of the NW’s favorite local charities, Talk It Up TV’s “Be Kind” changing the world thru positive messaging and acts of kindness for those in need. March 28, 2019 / Taste Washington! Taste Washington is back for its 22nd year and you’re invited to join Bergevin Lane at the celebration. A food and wine lovers’ wonderland, Taste Washington offers the most wine and food from one single place, in one single place, including samples from more than 235 wineries, 65 restaurants and some of the nation’s most-talented chefs. Get ready to drink and eat your heart out over four days brimming with specially curated events to highlight the best of Washington State. Go ‘into the cellar’ with premier Washington winemakers at the Red & White Party on Seattle’s waterfront. Share a table and explore fresh Pacific Northwest ingredients alongside regional farmers, winemakers and chefs On the Farm. Go backstage at The Sanctuary for The New Vintage to meet and mingle with the chefs and winemakers driving Washington’s impressive food and drink scene. Re-energize on Sunday with a mid-morning brunch designed to fuel you through the rest of the weekend. And top it all off with an embarrassing complement of Washington’s culinary riches at the Grand Tasting. In fact, it’s so big you’ll need two days to experience it all. And the fun doesn’t stop there. Explore all Seattle has to offer in your downtime. Create your own Taste Washington experience and plan your stay at a downtown Seattle hotel by visiting tastewashington.org. Join us as we kick off the season with great wine, food, art, music and FUN. We’ll be pouring new release wines next to our current line-up, with specials on many of your favorites that weekend only. Club Swirl Members +1 are our guests, $25 Per Person Additional guests. RSVP Now – All are Welcome! Local musician Janine Wheeler will be dishing up her smooth jazz, and artist Edward W. Gilmore will be showcasing his current work, as well as doing a live painting in our barrel room. James Little with Milton-Freewater favorite skōSH will be serving up awesome small bite appetizers for your enjoyment. Save the Date! Winemaker Sean will be hosting a winery dinner at the Hotel Interurban on July 18th, 6 pm. Join Bergevin Lane Vineyards and Andrea’s Kitchen for an amazing food & wine trip in Hells Canyon, July 28-31. This awesome trip happens in a week when no motorized jet boats are allowed up the canyon, so imagine the peace & serenity paired with some of the best food & wine, scenery & friends in the region!